Dell PowerEdge tower servers are aimed at smaller organizations that require simplicity and don’t have the need or space for a large datacenter. Tower servers can easily be hidden under a desk, in a closet or a back office where they are out-of-sight. This makes them an excellent choice for point-of-sale (POS) systems, file and print serving and data archiving. In addition, when only one or a few servers are required, tower servers make a good solution since they generally provide easy setup and don’t require a large rack for installation. A single Dell PowerEdge tower server generally has more expandability than a comparable rack server. For example, tower servers may have more PCIe and memory slots making expansion easier. As an organization grows and data processing needs require a move to rack servers, conversion kits can be purchased for some models to turn a tower server into a rack-mount server. 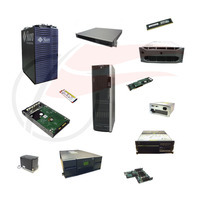 Flagship Technologies specializes in refurbished Dell PowerEdge servers and replacement spare parts. We have many pre-built servers that have been tested and certified for reuse. We can also custom-build servers specifically tailored to the needs of your datacenter or project. All servers carry our one-year parts replacement warranty. Click on a model below for more information on servers and parts.